The annual Orchard Hill College Academy Trust (OHCAT) Christmas in the Community celebration was off to a cracking start as we took to Kingston Christmas Market on Wednesday! The event is held at each regional hub and gives students and pupils across OHCAT the opportunity to join together to celebrate the festive season with their local communities. The event saw our pupils join Dysart School, St Philip’s School and Orchard Hill College to perform at the fantastic Christmas Market. First to the stage was Dysart School with a performance of joyous festive songs accompanied by some spontaneous dance solos! We were next to perform, and we belted out some festive songs with teacher Lawrence on the guitar, who had everyone in the audience singing along and dancing. The next act was Orchard Hill College who also had acoustic guitar accompaniment from their lecturer Rosy, and student Joseph introducing each song. The final act to take to the stage was St Philip’s School with Lucie performing a beautiful solo accompanied by Dominic on the acoustic guitar, followed by Dominic performing an incredibly intricate solo to close the show. The event was a brilliant way to bring everyone from across OHCAT together to celebrate in the community and really show our creative and musical talents. 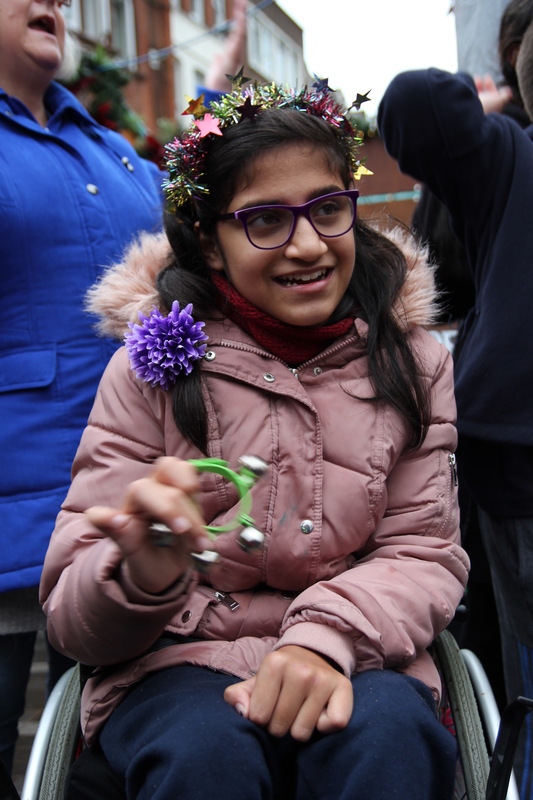 Passersby stopped to enjoy and join in with the songs, and everyone in the market was full of joy as the happiness that emitted from our pupils and students was impossibly infectious; everyone was beaming a smile from ear to ear.